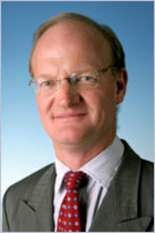 David Willetts is the Minister of State for Universities and Science. When Labour tripled university tuition fees in the 2004 Education Act, it was one of Tony Blair's bolder reforms. But, although he changed the funding structure of our universities, he missed the chance to make the sector more accountable to its students. Too many students remain surprised by the limited contact hours, feedback and access to the top lecturers. Most are unclear how they can push for a better overall student experience. Our university sector rightly has a world-class reputation. But the prestige of individual institutions is largely based on their research output. We believe high-quality teaching is just as important. So the principal objective of today's higher education white paper, entitled Students at the heart of the system, is to avoid repeating Tony Blair's mistake. Our reforms build on the changes to student support announced last year by putting students in the driving seat. We have three key priorities. 1. Better informed students and more accountable institutions: In future, there will be much more information available about different courses at different institutions. There will be a standard set of comparable data available for every course in the country, covering issues such as contact hours and feedback, accommodation costs and bursaries and employment rates and average graduate salaries. David Willetts MP, Minister for Universities and Science. In our first six months, the Coalition have seized the initiative on the highly sensitive issue of higher education funding. That has not been a universally popular decision and yesterday's protests reflect the passion that people (rightly) feel about higher education. People are of course entitled to make their case - by peaceful means - but may perhaps not have picked up on the details of our proposals: our goal is a world-class higher education sector that is not closed to anyone on financial grounds. The Labour party left us with a higher education system that was unsustainable, especially given the state of the country's finances. That was why they set up the Browne review whose conclusions we have broadly accepted, while Labour have remained strangely quiet. But this is not only a debate about finance. The higher education system we inherited is also one in which the proportion of poorer students at our most research-intensive universities remains stubbornly low. So Nick Clegg is right to draw people's attention to the positive and progressive details of our proposals. No graduates will pay back anything until they are earning £21,000 - as opposed to £15,000 now. The maintenance package will be more generous for nearly all students - around one million people. Part-time students will get more support than ever before. Around one in four graduates will pay less than under the current system. And universities charging higher fees will be made more accountable for their progress on widening access. We have promised a 150 million National Scholarships programme to help students from poorer backgrounds through mechanisms like a free first year. And we have promised much better information about the different returns of different courses at different universities so that people have the information they need to take up the courses best suited to them. Labour are completely divided over the issue of university funding. Ed Miliband has called for a graduate tax, but his Shadow Chancellor thinks that's a ‘sop to the left’. They oppose our reforms without saying where else in BIS they would have found any savings - further education and science perhaps? If they do end up committing to their leader's policy of a graduate tax, then they should admit it will hit the poorest students hardest - those earning above the income tax threshold of £6,475 would have to make repayments, as opposed to £21,000 under us. Labour left us with a higher education system that didn’t meet the UK’s needs and that was falling down the international league table. It was crying out for reform and I believe that our proposals are the right way ahead. At the heart of this argument is a fundamental belief and commitment from the Government to make the system a better and a fairer one, while protecting universities' autonomy and the public finances. We want a system that encourages aspiration and meets the needs of all students irrespective of their background. David Willetts MP, Shadow Secretary of State for Innovation, Universities & Skills, explains the purpose of the Conservative Party's announcement on science and engineering. I am grateful to ConservativeHome for inviting me to respond to the interesting thread on the proposals put forward by George Osborne and myself. One question is how we finance them. Earlier this year we announced a £5billion reduction in the rate of growth of public spending in 2009-2010, most of which financed our proposal to cut the tax burden on people with modest savings. But that left funds which we have put towards this package to meet a specific crisis for university leavers and apprentices in 2009-2010. Of course we must reduce the growth of spending overall but that is not a reason why we cannot also have Tory initiatives to shift money towards things we value. Some comments ask whether there are any jobs for these people to do. In the foreword to the new 2009 CBI Education and Skills survey, Richard Lambert says ‘Science, technology, engineering and maths (STEM) skills are integral to success’ but warned the survey found ‘further evidence of the serious mismatch in demand and supply, with two thirds of businesses having difficulty recruiting stem-skills staff and a particular concern at graduate and postgraduate level.’ So there is still demand from employers but it is not being met as taught masters are being cut back as they lose research council funding. The problem was first raised with me at a Cambridge University biotechnology centre. I have also been approached by the Universities Transport Partnership, who tell me that the decision taken by the Engineering and Physical Sciences Research Council not to fund Masters courses in the same way as in the past ‘leaves some disciplines for which Masters level education is the only source of higher education, including many transport skills, without Government support. … the withdrawal of support for Masters level education will create higher level skill shortages, or aggravate existing shortages, in many areas.’ So there is a real problem here which we are right to try to address by funding 25,000 taught masters courses in STEM subjects. David is Shadow Secretary of State for Education and Skills. The recent UNICEF report about the well-being of children in the world’s richest countries was a wake-up call for Britain: we come last among the 21 industrialised nations. Perhaps it shouldn’t have been a surprise. Behavioural problems in children have doubled over the last 30 years and emotional problems have increased by 70 per cent. Maybe it hit home because the blow was so blunt; the report said that our kids are just plain unhappy. The news comes against the backdrop of other sobering social trends: soaring crime and antisocial behaviour, diminishing educational achievement, and failing public services. As David Cameron indicated when he announced that the Conservatives would be leading a Childhood Inquiry, “The great challenge in this decade and the next is social revival”. Today I can announce that the Childhood Inquiry will be investigating six broad areas of childhood in Britain, and each sub-group will be lead by a colleague with expertise in the area. Alistair Burt MP will be leading the subgroup of Play and Space. He will investigate how outdoor play and space are being increasingly lost to a screen-based world. Advertising to Children will be considered by Tim Loughton MP, and will look at how children can be better protected from commercialisation and sexualisation. Ann McIntosh MP will explore ways in which the wider family, especially grandparents, can play a positive role in children’s lives by leading the Extended Family sub-group.